Plucking your underarm hairs by the roots, for example, may lead to damaging hair follicles, increase the possibility of ingrown hairs and enlarged pores. Meanwhile, shaving tends to lead to small cuts & the debris removed during shaving may contain up to 36% of the skin. That is why you will need something to protect your newly shaved/plucked underarm while they're recovering by creating a safe barrier from outside irritation. 2. 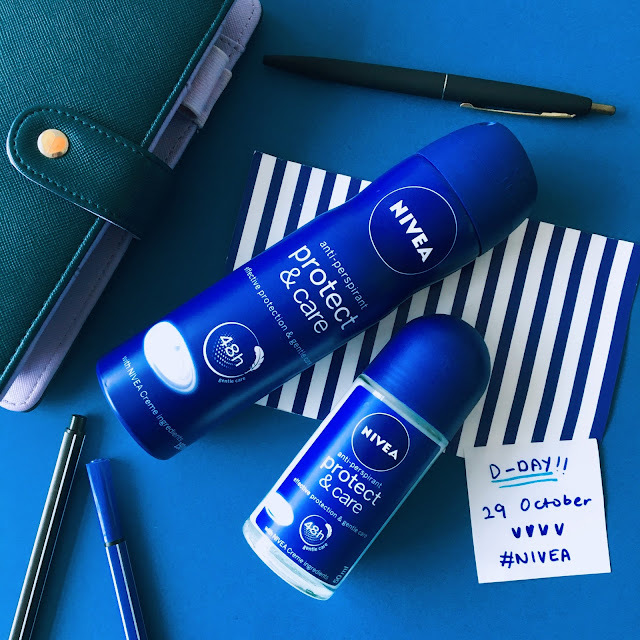 Gently cares for your skin with its innovative and skin-friendly formula. 3. Keep your underarms fresh, soft and smoother. 1. Does it feel sticky after dries off? Not sticky at all. It feels very comfortable after it dries off. 2. Does it last the whole day? I couldn't test the 48 hours claim since I had to take a shower lol but it does last throughout the day from the morning before I start work until the time I got home. 3. Does it irritate my underarms skin? No. 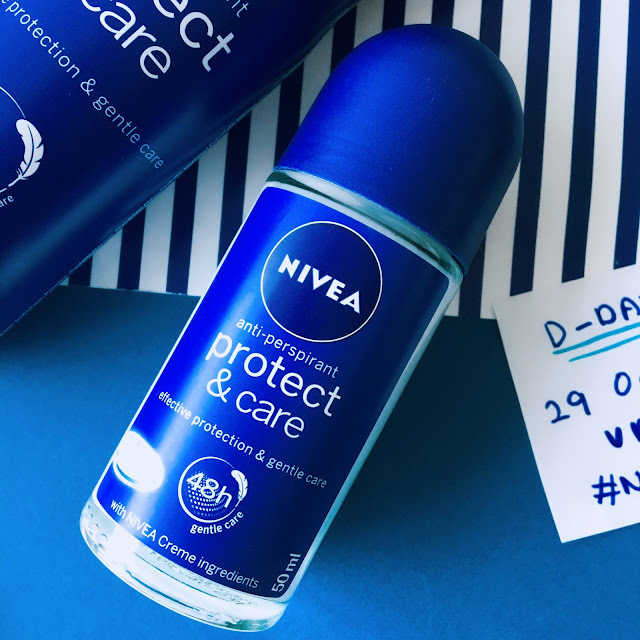 Like other Nivea deodorant I've tried before, there is no irritation on my skin! 4. Do I like the scent? 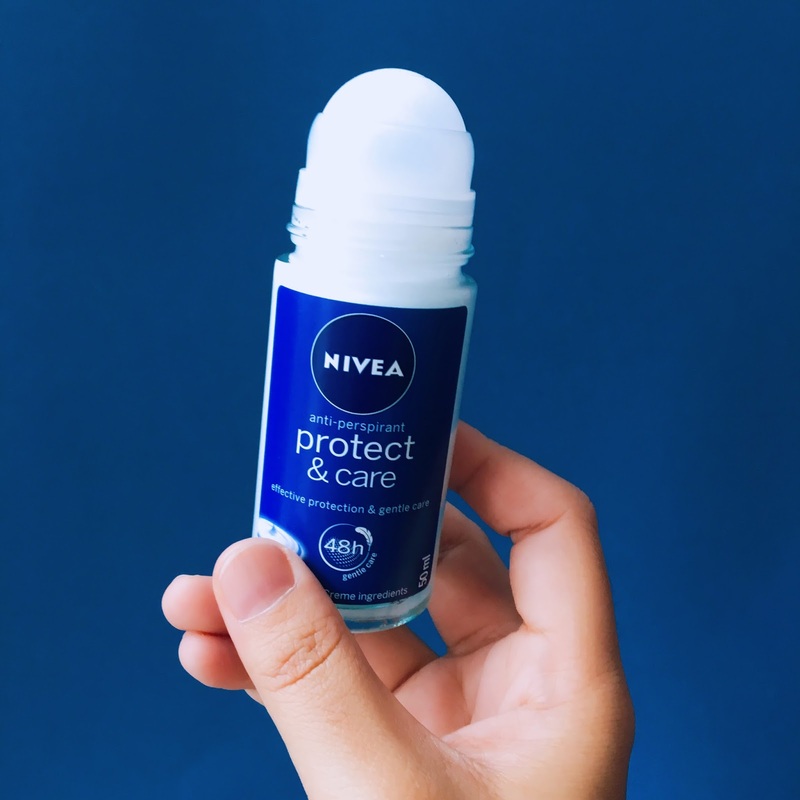 Personally, I don't like spray type deodorant because I have asthma and their scent are usually too much for me, so the same goes to this one. On the other hand, I love the roll type scent! In overall, I think this range is a pretty good multi-purpose product that can both care and protect my underarm in one go! They're also affordable & comes in a really nice packaging (super love the glass bottle of the roll on type!). 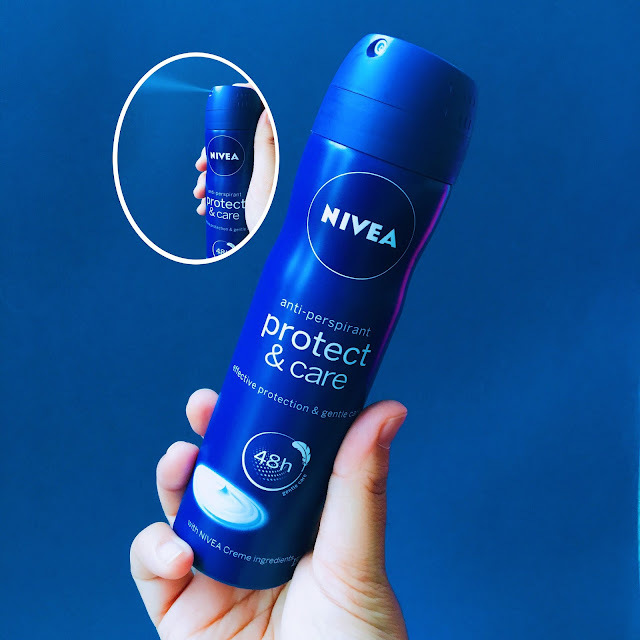 For the fun of it, I also posted a quick poll on my Instagram stories to know which type of deodorant my friends prefer (roll vs spray) and 57% who voted prefer roll-on type like me. *high-five* So, let me know which one you prefer in the comment down below! 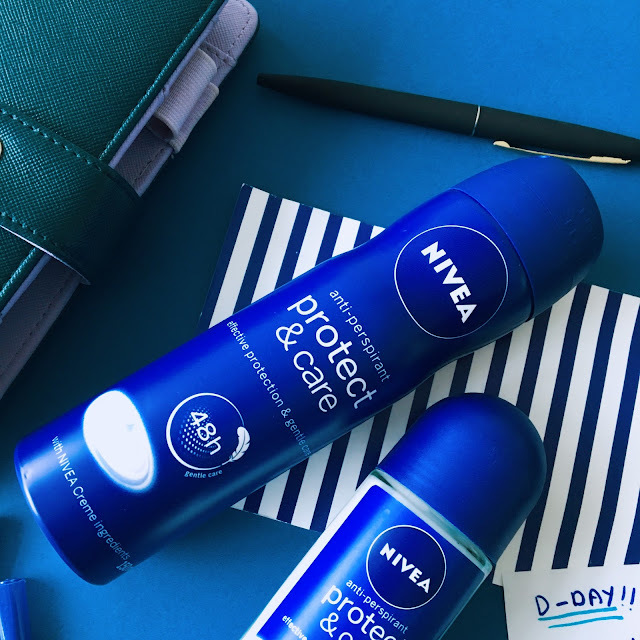 The Nivea Anti Perspirant 48 Hours Protect & Care Roll on comes in 50ml bottle and the Nivea Anti Perspirant 48 Hours Protect & Care Spray comes in 150ml spray can. Each of the product cost RM11.30 and RM17.20 respectively which I think is pretty affordable. Based on my previous experience, one bottle of the roll on can last me up to 2-3 months which is really worth the money.